Param Poojya Sadguru Shree Aniruddha Bapu's special pravachan on Ram Rajya is postponed to Thursday 6th May 2010 due to non-availability of the ground. Pls communicate this to as many Bhaktas as possible. Regular Pravachan of 29th April, 2010 will take place as usual. Why to donate Blood ? Its best for your health…Our body contains approximately 4.5 – 5 Liters of blood out of which only 300ml blood is withdrawn. Immediately after donation, within 2 – 3 hours our body produces new blood cells and thus the blood in the body gets refreshed. Thus donating blood helps in stimulating generation of new blood cells and thereby increasing our fitness and immune system of our body. The Annual blood requirement of Mumbai city itself is about 2.5 – 3 Lakhs of bottles. Thus by donating blood we can share this load and serve humanity. We are pleased to inform you that a BLOOD DONATION CAMP would be arranged on Sunday,11th April 2010 by Sadguru Shree Aniruddha Upasana Trust. A kind request to all to give their maximum support for this Camp by donating their valued blood and also by helping spreading the word. DONOR SHOULD NOT HAVE CONSUMED MEDICINES ATLEAST 24 HOURS BEFORE DONATION. DONORS SHOULD AVOID SMOKING AND TAKING ALCOHOLIC DRINKS 24 HOURS BEFORE DONATION. War cannot decide who is right… It only decides who is left. This work with contents that make us aware of the horrific ravine of war, also echoes a similar sentiment. Titled ‘The Third World War’, authored by Dr. Aniruddha Dhairyadhar Joshi, it is a collection of a series of studied and thoughtful articles that appeared in the columns of the daily, ‘Pratyaksha’. The work does not dwell only on the causes and the possibilities of war; it also discusses several issues that are, as a matter of fact, real, a part of History. Moreover, the common person, not necessarily acquainted with the details, the events and the causes lying behind these and especially in so coherent a manner, should indeed read the work. “There is no doubt that over the next twenty to twenty-five years, conflict will become an aspect of everyday doings and in every region on earth. Values based on theory or principle will have no place whatsoever in this conflict and ‘the survival of the fittest’ will, on the contrary, be the only commandment. Thus, also political games and secret conspiracies are going to be sure directives; quantitative power that can resort to aggression, violence and extreme ruthlessness are going to prove more dominant and successful in the conflict and for a long time to come.“ These words, part of the prologue, are a strikingly realistic comment on the general circumstances that prevail. We also become aware that with modern techniques changing the face of war, battles between two nations are no more restricted to the battlefield. Now the fury of war has engulfed every region of every nation. Moreover, all the organizations of the world pretend to fight war under the guise of a dutiful observance of religion though no religion advocates this sort of destruction. War no longer fought between the good and the evil, is but a violent eruption, entirely immoral. Pulling us out of our cozy and secure cocoons, the work bears before us, this and other such blatant realities. This is indeed the strength and this also, the success of the work. The work makes very profound yet sharp observations about the history of the Jews, the birth of Palestine and Israel, Osama-bin-laden, the Al-Qaeda and other terrorist organizations, the conversion in Africa, Saddam, the I.S.I., the double standards of the U.S.A., Pakistan’s hatred for India and the shelter that it offe red to terrorists, Iran and terrorism, the current situation in Bangladesh, Taiwan, Cuba and also in the Indian subcontinent. By no means, a prediction of the future, this thoughtful presentation of history and the present situation, also gives, to a certain extent, a glimpse of the ‘calendar of the third world war’. Pure democracy, though capable of watering down the horrors of war, the stream of democratic thought, weakened in most nations due to the struggle for power and blind religious mindsets, is not really going to offer much relief. Yesterday it was a cruel tyrant by the name Hitler; today, it is a Laden, who is going about destroying the world. As for the mastermind behind the third world war, we are in the dark about him, at least as of now. Under this project, these org anizations provide free mid-day meals to children from schools in tribal areas and in municipal schools in rural areas. This is made possible by sponsors / donors who donate rice, wheat, pulses, oil, sugar, etc. Presently, mid-day meals are being provided to 3531 students across 31 different schools in the rural areas by the volunteers of these organizations, who cook and serve the fresh food daily, to the students attending the schools. 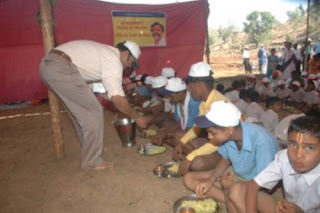 Also during the annual Kolhapur Medical Camp, lunch is served to thousands of villagers and school children. This unique project in volves the making of Lord Ganesh idols from Paper pulp. These idols are made from shredded paper of ‘Ramnaam’ notebooks used by the devotees who write Ramnaam and deposit the notebooks in the organization Aniruddha’s Universal Bank of Ramnaam (AUBR). These idols disintegrate easily upon submersion as compared to idols made from plaster-of-paris. A notable aspect is that, paints used are non-toxic, thus controlling pollution immensely. The volunteers of SAUF, AUBR and other organizations collectively make these idols for the Ganpati festival every year In the year 2007, the organization prepared and distributed nearly 3500 Lord Ganesh idols. 1) Distribution of medicines, tonics, syrups etc. to school going children twice during the year. Also free medical check-up of 8000 students from 108 schools was conducted. 2) Distribution of used clothes to villagers and two sets of uniforms to school going children. In year 2008, 15268 sets of uniforms, which were stitched from the cloth prepared under the Charkha Yojana were distributed to 7634 students (2 per student). 3) Distribution of caps, slippers, sports materials for school children. This year 7634 sets of slippers and caps were distributed among children. 4) Distribution of hygiene material such as bleaching lotion, anti-lice lotion, toothpowder, soaps, combs, etc. This year, material was distributed among 3600 families from 34 remote villages across Kolhapur region. Foundation arranges blood donation camps on a regular basis in different areas across Mumbai & Maharashtra. In the year 2007, a total of 68 blood donation camps were organized by the trust. As the name suggests, this is a bank, but one that is different from the rest. This is a knowledge bank that stores knowledge in the form of audio cassettes meant for the blind. Audio cassettes based on the academic curriculum are prepared and given to the visually c hallenged students of various blind school and colleges. Curriculum of courses meant for the adult blind persons, viz. physiotherapy, as also technical courses like lathe training are also recorded on cassettes. The project has targeted to reach out to the entire country over a period of three years, wherein the cassettes will be prepared in different languages of the country depending on the requirement. Volunteers, primarily ladies, record the cassettes sitting at home, which gives them an ideal opportunity of balancing home and work, besides being a fulfilling experience. To date the project has worked with ‘The Kamala Mehta School for the Blind’, ‘The Victoria School for the Blind’ and the ‘National Association for the Blind’ (NAB) and is now in the process of reaching out to a wider audience. So far, more than thirty thousand cassettes and 3000 CDs/Cassettes have been distributed to various schools and institutions, free of cost, benefiting more than thirty thousand visually challenged students across India and other countries. So far, it has recorded CDs and cassettes in 11 Indian languages not only for school study material but it also covered post-graduation and vocational courses. Till now almost 35,000 to 40,000 students have benefitted from these recorded audio books. Shree Aniruddha Upasana Foundation through its 250 odd centers and thousands of volunteers, has commenced work in co-ordination with Shree Aniruddha Aadesh Pathak and Aniruddha Samarpan Pathak for achieving this objective i.e. Samartha Bharat. A dedicated team of volunteers is working on each project and special organizational structure for successful implementation of these projects has been developed. Even today there are many children, not just in villages but also in cities, who do not have enough clothing to cover their bodies. As a result they abstain from attending school and remain deprived of education. Illiteracy breeds blind faith and wrong traditions, which in turn perpetuates poverty. The Charkha Yojana has been specifically implemented to break this vicious circle of Poverty and Illiteracy Today, thousands of followers of Parampoojya Sadguru Shree Aniruddha Bapu spin the Amber charkhas for thread making. The hanks produced from threads are collected and converted into cloth. School uniforms of various sizes are stitched from this cloth after proper processing and are distributed, free of cost, among the students in order to motivate and encourage them to attend school. Till date 59,085 uniform sets have been distributed to 24544 students, More than 1,43,000 meters of cloth has been prepared under Charkha Project upto March 2008. Presently, a total of 3871 Charkhas are in operation. The Foundation also conducts special camps at its affiliated centers throughout the year in which devotees run Amber charkha and the thread so spun is used for making cloth, from which uniforms are stitched for the underprivileged students. Under this scheme, people in urban areas, where water is available in abundance, grow “grass” in their houses and in open spaces, just as we do during the “Navaratri Festival”. It is possible to have a yield of sugarcane, wheat, rice and maize 3 to 4 times a year. The grass so collected is sent to farmers in the drought stricken areas to feed their cattle. Till date truckloads of grass have been distributed through our Pune centre in Purander taluka. Every Thursday, bhaktas bring old/used newspapers/magazines/notebooks every Thursday at upasana place i.e. IES New English School. These used papers collected from people is converted into various useful articles such as paper bags, which goes a long way in solving the plastic bag problem and also contributes, in its own little way, to the conservation of the environment. Further, paper pulp made out of this paper is used to make articles like Word chart, toys, alphabetical blocks which are distributed to poor students as incentive for them to attend school. Torn clothes or pieces of cloth are collected by the devotees and converted into quilts, which are then gifted to needy workers, students and women. The volunteers, both men and women are imparted training on how to make quilts. So far 2148 pieces of quilts have been prepared and distributed to needy people. Under this program, candles and matchboxes donated by devotees are distributed to the poor students in rural areas where there is no supply of electricity thus enabling the students to study even in absence of electricity. Ahilya is the personification of the misery of the Indian woman; caught between the injustice of the society and that of her husband. The Ahilya Sangh has been formed for endowing women with the requisite strength to counter any exploitation and face any adversity with fortitude. All the Indian martial arts needed to protect the women have been taught to a select batch of 15 volunteers ‘free of cost’. These fully trained volunteers are now, in turn, training subsequent batches, each of 80 volunteers. Besides, all women who have been wronged, or are in a crisis situation, receive support from the “Ahilya Sangh”. Women who suffer because of the addiction of their husbands also receive help from Ahilya Sangh. Uptill now 787 ladies have been trained under Ahilya Sangh Project. The Ahilya Sangh also undertakes Tree Plantation projects across Maharashtra. So far thousands of trees have been planted across Maharashtra. The Sangh also takes care of the planted trees. Out of all kinds of knowledge, the knowledge of language is considered supreme, That is why the organization has been carrying out the project of the study of various languages. Each one has to learn a language apart from the mother tongue. A facility is being created where every Indian can learn any other language apart from the mother tongue. Around 1200 volunteers are already studying different Indian languages apart from their mother tongue. An institute aimed at the study of the five continents, on the lines of the Institute of Regional Studies is being formed. The progress & politics of the five continents, scientific & educational progress, cultural progress & regression, all will be part of the study. The study of the world around only helps to study our own selves. This institute will produce social scientists. Aniruddha’s Academy of Disaster Management, the sister organisation of Shree Aniruddha Upasana Foundation, is involved in conducting basic training courses for disaster management for the benefit of common citizens. Till now around 45,000 people have been trained by the Academy in the basics of disaster management. Fairs and festivals at religious places attract crowds in great numbers and from regions far and wide. The DMVs help in controlling and regulating the crowd, which for e.g. makes queues for darshan, channels of smooth movement and facilitates the work of the police and other civic authorities. The DMVs of the AADM have been invited on a regular basis by civil administration and police department to manage crowds of bhaktas at the annual festival of Jyotiba, at the Kumbha Mela and at the Mandhradevi, Mhasa, Paithan fair for the last few years. The organization also offers on a regular basis, seva at the Shreesiddhivinayak temple (Prabhadevi, Mumbai) on the day of ‘Angarki sankashta chaturthi’ and during the Navaratri festival at the Mahalakshmi temple (Mahalakshmi, Mumbai). The Academy also puts up a well-equipped medical counter at the site of these fairs. Since the year 2006, the Academy is officially associated with the Civic Authorities and the Police Authorities for the disaster management planning, especially the monsoon disasters. The Ganapati festival celebrated in Maharashtra includes certain specific days for the immersion of idols. We are all aware as to how vital it is to regulate traffic as also the crowd that pours in on the beaches as well as roads. The AADM volunteers not only help in this regulation and management but also offer a very noble seva on the day following the immersion. On the request of the Fire Brigade, from 2006 onwards, on the occasion of the Ganesh immersion the volunteers of the AADM posted themselves at 22 different lakes in New Mumbai. A large force of DMVs and a well-planned network makes this seva possible. The ‘Academy’ is also involved in other socially oriented programmes like working towards the control of the use of plastic, which is an eventual threat to the ecology. Training in making manure with the help of earthworms (Vermiculture), (i.e. avoiding the use of chemicals); tree plantation drives, pulse-polio vaccination drives are other projects implemented under the auspices of the AADM. In 2006, the DMVs even helped to clear 80 trees that were hindering the flow of traffic. These trees had fallen due to incessant and heavy showers. The Academy also conducts training programmes for employees of Corporates, Government & Civil Bodies to enhance awareness among them. Re-immersion of Ganapati idols, cleaning of beaches and cleanliness drive year after Ganpati festival, the remains of Lord Ganesha idols that get washed on to the shore on the day following the day of immersion are re-immersed back into the sea. For last four years, the cleanliness drives were undertaken at the city beaches of Girgaum, Dadar, Mahim, Juhu and Versova in Mumbai and also at Kalyan and Ulhasnagar in the suburbs. Thousands of volunteers toiled selflessly and, in the process, re-immersed approximately 10000 idols and disposed of 45 truckloads of Nirmalya in the year 2007. Cleanliness drives are also undertaken on a regular basis at municipal schools, at public eastern suburb of Mumbai. Every year after Ganpati festival, the remains of Lord Ganesha idols that get washed on to the shore on the day following the day of immersion are re-immersed back into the sea. For last four years, the cleanliness drives were undertaken at the city beaches of Girgaum, Dadar, Mahim, Juhu and Versova in Mumbai and also at Kalyan and Ulhasnagar in the suburbs. Thousands of volunteers toiled selflessly and, in the process, re-immersed approximately 10000 idols and disposed of 45 truckloads of Nirmalya in the year 2007. Cleanliness drives are also undertaken on a regular basis at municipal schools, at public places of worship and at an organization for mentally retarded children in Mankhurd , an eastern suburb of Mumbai. Volunteers of SAUF and SSAUT regularly visit mental asylums at Thane, Pune and Ratnagiri along with resident doctors and attend to patients with varying ailments. Work is also going on in orphanages at Kolhapur and Mumbai, where the inmates are trained in physical fitness and are taught to say their prayers. • Registration of patients in registration department. • Guiding outstation patients by filling their railway forms, assisting them in terms of availing the available facilities. • Directing patients to various wards. • Helping boost the morale of patients during the phase when they have to undergo radio/chemo therapy. At the Nair hospital, volunteers accompany lonely patients and provide moral support. • Cleanliness programs are undertaken at Municipal and Governmental hospitals, where the entire hospital premises, including stairs, toilets, wards, corridors etc. are thoroughly dusted, scrubbed and cleaned. The volunteers of the organization assist the staff of David Sassoon Hospital (Pune) in their daily work. The Seva carried out at Sassoon Hospital is as follows. Registration of patients in registration department. To help solve problems faced by patients by pointing out them to the concerned authorities. To ditribute used clothes (from Old is Gold project) to the needy patients and their families. To accompany patients if they do not have any relatives/family members with them. To arrange meals for patients. Cleanliness programs are undertaken where the entire hospital premises, including stairs, toilets, wards, corridors etc. are thoroughly dusted, scrubbed and cleaned. Through this project, SAUF and other organizations, with the help of trained doctors, offer free medical aid to the poor and under privileged in Mumbai. The mobile Medical van tours various slum areas in Mumbai every week undertaking medical checkup on regular basis and distributing free medicines wherever essential. The mobile medical van tours areas of worli naka and jijamata nagar every Monday and Thursday, and areas of Mahim, Ram mandir every Tuesday and Fridays. There are 2 trained doctors of the organization for medical checkup and distribution of medicines. The Mobile Medical camp is also carried out outside Mumbai, in under privileged areas of Virar. Mobile medication facilities alongwith swacchata seva and are carried out at around 9 schools at remote places in virar once in every 3 months. Volunteers of SAUF clean the surroundings and school areas and medical aid is given to the needy children by trained doctors of the trust. 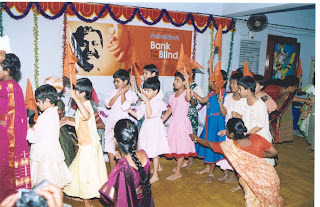 Aniruddha’s Bank for Blind seva is regularly carried out at following 4 schools. Volunteers assist the children in english speaking, various competitions and sports, teach them a little bit of cookery. b. Providing Readers and Writers. Every year 20-25 volunteers of the trust offer seva as Readers and Writers for blind children. Volunteers help them read and understand various topics from their syllabus and writers help the children in writing exam papers. This school is for blind girls. The volunteers of the trust help students from 1st std to 7th std in their regular day-to-day studies. The girls are also taught about cookery. Doctor-Volunteers are present at the time of medical check-up of the students. 3. Victoria Memorial School for the blind. The volunteers of the trust help students from 1st std to 10th std in their regular day-to-day studies. Volunteers also help student learn subject such as handicraft. Doctor-Volunteers are present at the time of medical check-up of the students. Volunteers offer seva as writers for the blind students. A daily session is conducted between 6.30 pm and 8.30 pm at various centers in the presence of volunteers of the organization and trained doctors. There is chanting of prayers and meditation on Lord Hanuman, after which the patients are checked and administered the necessary medicines. The prayer and meditation gives mental strength to those who seek de-addiction. Till date, approximately 2750 people have benefited from the de-addiction programme and almost 70% (1950 people) have completely given up their addiction habits. Currently the de-addiction programme is conducted at 26 Upasana Centers in Mumbai and all over Maharashtra. Though our Nation is making steady economic progress, the corresponding benefits are not seen to be percolating in the lives of Indian Women, who are the backbone of the family. Keeping this in view, women are encouraged to attend classes, wherein they are imparted training in the day-to-day requirements of life and a positive mindset is nutured. This free training program of 6 months encompasses a variety of innovative activities to make women self sufficient in daily affairs of life, while living in society. The training includes learning Bank transactions, speaking skills in English Language, Knitting, Craft, Beauty Care, Dramatics, Dance and also activities such as changing of Gas Cylinders, small electrical solutions etc. The main objective of these classes is to develop and enhance the self- confidence of women and make them bold enough to face any eventuality in their lives. An exercise program for both men and women of all age groups, in the form of “Surya Namaskar”, was first conducted from 15th January 2002 to 15th February 2002. Almost 3500 men and 3000 women benefited from this programme. Since then, camps have been organized at various places. Surya Namaskar is a complete exercise with a spiritual background. Selected trained volunteers further train the participants at different centers. Organisations impart training in Indian art to a selected candidates ‘free of cost’, which includes ‘Suryanamaskar, Hasta-Kaushalya, ‘Hasta-Laghav’, ‘Mushti-Laghav’, ‘Ketch’, ‘Jod’, ‘Kallan Vidya’, ‘Mudgal Vidya’ , ‘Vajra Mushti’,etc. To nurture the potential and to explore the hidden talent of children, a Fifteen days summer vacation camp by name ‘Dhangad-Dhinga’ is organized every year by Shri Sai Samartha Vidnyan Prabodhini. Children between ages 8 and 12 years are given 15 days practical training, keeping in view their overall development in short, apt personality development at appropriate age. In this camp through the free interaction and playful atmosphere, children are encouraged to develop positive and healthy attitude and to inculcate self discipline in them. This gives tremendous boost to their self confidence. Due significant part of the camp. Panchasheel examinations are conducted by Shri Sai Samartha Vidnyan Prabodhini for general Public, based on 'Sai Satcharit ' written by Shri Govind Raghunath Dabholkar “Hemadpant” on the life and teachings of H.H. Shri Sai Baba, to instill human values and “Bhakti” to common public in general and to upcoming generations in particular. Half yearly examinations based on this spiritual script are conducted by Shri Sai Samartha Vidnyan Prabodhini free of cost. People of different age groups and from different walks of life appear for this examination. Till now more than 1 Lac people have appeared for this Five sets of examinations conducted in span importance is attached to the child psychology. Sports and exercises are also of two and half years since the year 1998. These examination papers can be answered in Marathi, Hindi, English, Gujarati, Telugu, Kannada, Tamil, Oriya, Bengali, Punjabi and German languages. All the organisations jointly distribute notebooks to needy and poor students with an intention that no child should be deprived of education. These notebooks are distributed at the beginning of a new academic year. Last year 50000 notebooks were distributed to thousands of poor students all over Maharashtra. Kadav Village. Not very far, in the village of Jarukh are the caves that date back to the era of the Pandavas. 1. An effort to protect and nurture the cow, believed to be the dwelling of 33 crore deities. at different times, assuming that one form of the Sadguru. 1. A study of the personality, mission, powers, values, ideology and the facets of the life of Shree Krishna. purpose of arriving at solutions to problems prevalent in today’s times. in the bhakti of Shreekrishna. Govindvidya will be conducted in the sabhapeetham. vriksha) that stands opposite these huts. The two separate sections of the Goshala house 30 cows and bulls each. The area for cows also houses the calves. than 2 acres has been developed as grazing grounds for cows and their calves. field and a veterinary doctor, Dr. Thakurdas take care of the cows. the sacred fire (dhuni) in the presence of P.P. Sadguru Shreeaniruddha and P.P.Nandamai. daily prayers at the Govidyapeetham begin with the worship of dhunimata. trunk of this Banyan tree is wide and is actually a group of five distinct trunks. Lord Dattatreya is believed to dwell here. ever actually physically saw or knew Him. This tree stands just beyond the grazing grounds of the cows. vrindavan rids of all misery and even fulfils the wishes of bhaktas. muhurta, a radiant Sadhu gifted Padukas to Shri. Vijay dada Bhingarde. On Sundays however, all the three yaags are performed. question drumming in their minds – Why has our dear God unexpectedly called all of us collectively today? What is exceptional that is going to take place today? side. We all started walking in that direction. We also took off our footwear before entering the place. Dada and Sameer Dada in front of us. Bapu, started asking all of us, come and see, how do you all like this? gathered is the Dwarkamai of Shirdi. Exactly the same. one wondered if the wheels of time had moved backwards? All present there experienced the identical thought. Nearly after 90 years everybody had reached Sainath's era, all of us just could not believe what was happening. Where 1916 and where we were in 2005 now? in front of Dwarkamai; it was the rock on which Baba used to sit and Sainathji's photograph above the rock. was surely sowing the seeds of Sai Aniruddha's love today. we can understand the oneness of both. able to hear the Ramnaam. The Mahapraan of the universe, Hanuman is incessantly chanting Ram's name. the Sai Satcharit was written. Dwarkamai was now fully awake and was arousing her little infants too. there. The mangalcharan, the 11 promises, the gajjar of Sai's name and the grand finale was Sainath's arati. peace and a sense of balance. can sit the entire night in Dwarkamai. "Lagta Ya Shalesh Paaye, Kaun Hatbhaagi Maghara Jaaye". lies to Him, then even if He wishes to, He cannot help you. So please immediately stop being dishonest. equal proportion irrespective of the kind of person." Diwali when Baba was refused oil, He lit lamps with the help of water instead, again in this very Dwarkamai. very important incidents had taken place on the day of the Kojagiri Poornima itself. heart of the devotee and eradicate the darkness of turmoil. grace. He will be able to easily balance his life as a householder and his spiritual pursuits together. entire night in Dwarkamai. One year on a Diwali day all the shopkeepers in Shirdi refused to give oil to Baba. Dwarkamai, this incident made people aware of Baba as the incarnation of god. foes and only bhakti towards the Sadguru will allow us to receive His grace. 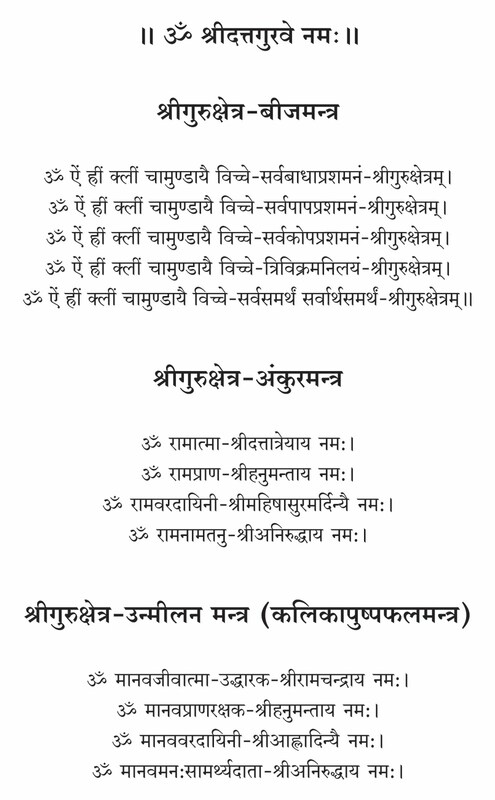 encumberment of all sins the Paapvimoc-hak pradakshina is the easiest and the most beautiful path. The moment we set foot on the soil of the Govidyapeetham, it is bhakti and bhakti alone that engulfs us. and in fact the world outside only to lose themselves to true joy. The bhaktas of Gopal even forget themselves. lure; the ambience here is full…. full with the sankeertan of ardent haribhaktas. to obtain this, the need of the hour is Seva done from the bottom of the heart and selfless, dispassionate Bhakti. 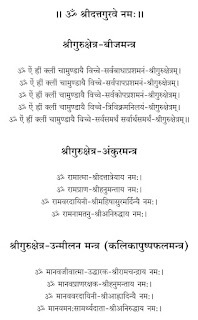 at Ratnagiri is the prelude to Ramraajya (Rule of Ram) which will arrive in the year 2025.
itself is Godly, there, does not remain any such thing as a separate wish. Because here, Sankalp itself is Siddhi. been installed belongs to Mahashesh Himself. Each place in this Dham is of exceptional importance. named as Digvijay Paduka and Digvijay Ishtika. remember their pain & suffering anymore.No more worries remain. floor has a 6000 sq.ft. hall. many instances of persons getting rid of their diseases and illnesses while doing Shramadaan here. Kshemakumbh is always completely full. 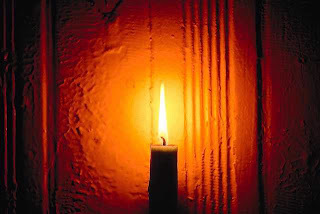 vibrations of our Sadguru which are invaluable, and Janmadin Sudeep – to be lit on our birthdays. facilities are also available for the outstation Bhaktas. continuously recite it without any break. volunteers only. Saplings for Tree Plantation are prepared here; and Tree Plantation is done on the premises too. On the top most floor, Blood Donation camps are held too. of the Gomaata (Mother cow) effortlessly. Next to this is the goat shed. native homes and reminds us of our roots in ancient culture. Inner- self overflow its banks to prove witness to that play.